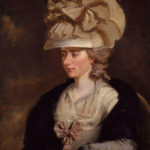 Frances Burney also known as Fanny Burney and after her marriage as Madame d’Arblay, was an English satirical novelist, diarist and playwright. She was born in Lynn Regis, now King’s Lynn, England, on 13 June 1752, to the musician and music historian Dr Charles Burney (1726–1814) and his first wife, Esther Sleepe Burney (1725–1762). "Traveling is the ruin of all happiness! There’s no looking at a building after seeing Italy."